A month or so ago, I woke up early, before the rest of the house, and lay in the darkness with my heart pounding uncomfortably. It was a physical reminder of something that I don’t like to think about very often: I have chronic health problems that aren’t just magically going to disappear if I ignore them. It is up to ME to change my life and my habits to regain my health. No one else is going to do that for me. 1) Choose a finite length of time for your break. 2) Look at your calendar and ruthlessly eliminate or postpone any stressful commitments during that time. Don’t be afraid to tell the people in your life WHY you need a break and how they can support you. 3) Decide how you will use your time off to “get ahead” of your life and make changes that will help you reenter your life in a much better place. Please follow along with Rachel’s journey these next four weeks by subscribing to her weekly emails here: 3in30podcast.com/takeaways. Also, please don’t forget to write a Review for the podcast if you haven’t already! Thank you so much for your support! 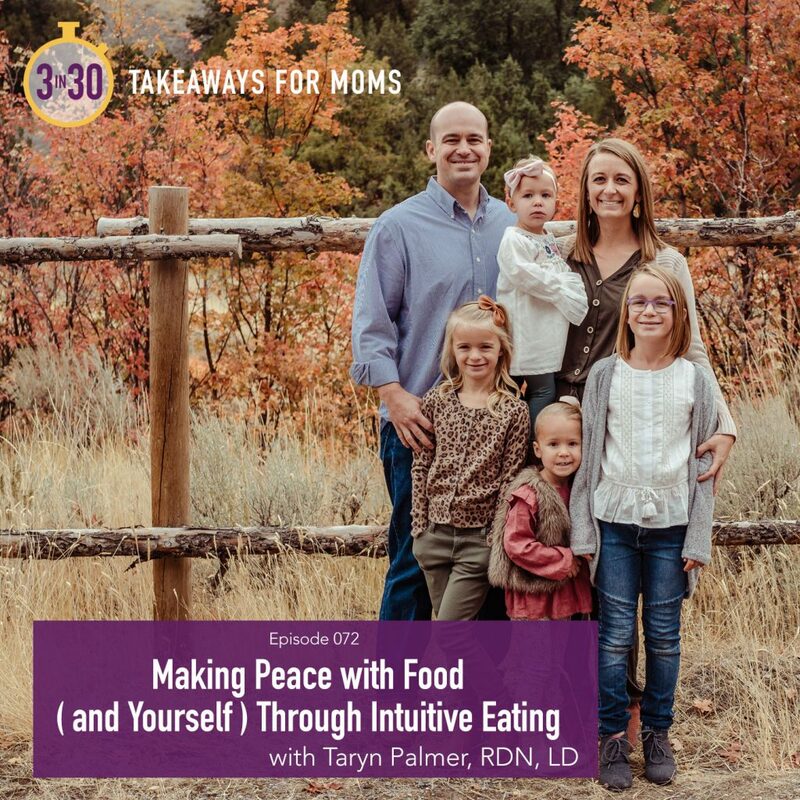 When I first heard the words “intuitive eating,” I was on a jog with a new friend who randomly opened up to me about her history with eating disorders. She mentioned this philosophy of listening to and caring for your body, and something in my heart said, I think this is good; I think this is truth. But it took a lot more than just that one conversation for me to find freedom from the toxic and hateful patterns of viewing myself and my body that I was trapped in. It took me nine months of counseling with a therapist who specialized in intuitive eating, and it continues to take work and commitment as I attempt very imperfectly to tune into my body and listen to what it’s telling me. 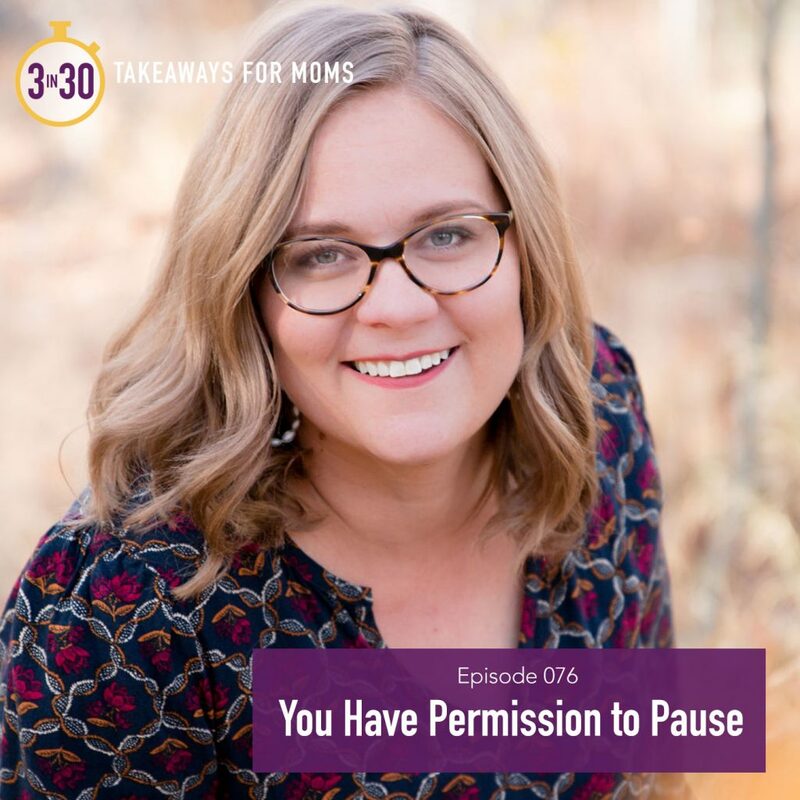 Power of Moms Radio Episode 87: Unhealthy Stress and Habits? Break the Cycle! In this stage of my life, I start most days to the sound of my children calling for me or running into my room. Before that, I started the day with the sound of my alarm clock signaling I needed to hurry as fast as I possibly could to get ready for work. This often sets the pace to go from one thing to the next in a frazzled state when I am constantly craving slow. 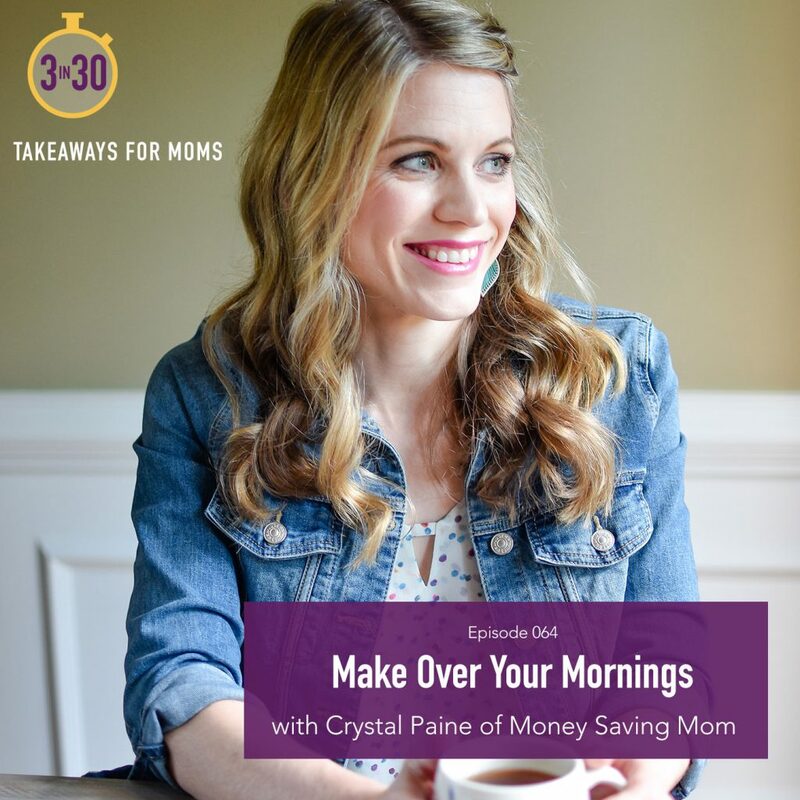 Crystal Paine, entrepreneur, mom, and founder of Money Saving Mom, is often asked how she does what she does, and it all comes down to starting her day with intention. Crystal has years of experience encouraging women to be intentional when it comes to finance, family, and business. In this episode, she encourages us to develop the habit of serving our tomorrow self by first asking the question: What can you do the night before to set yourself up for success the next day? Whether you have an intentional morning routine or hopes for developing one, we can’t wait to hear how you like this episode. Download the app or visit chatbooks.com to claim your FREE book (up to $10 in value) by using code “3in30” at checkout! As moms, we often wrestle with the desire to better balance work and motherhood. We want to honor our professional lives and personal development, while also giving our children the love and care they deserve. Bu what if it isn’t really about “balance” after all? 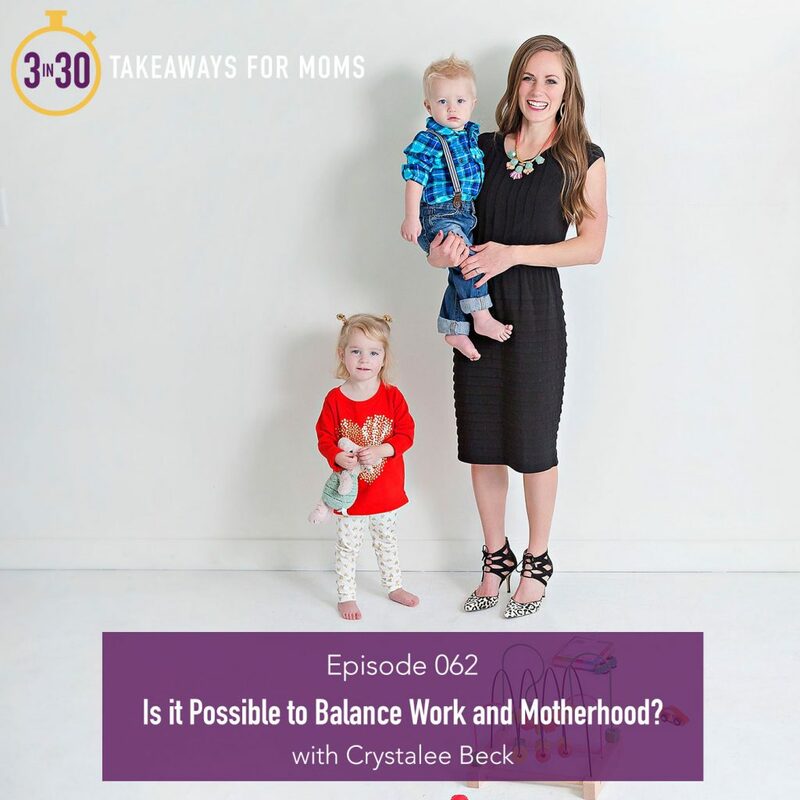 Crystalee Beck, co-founder of The Mama Ladder, is here to shift our perspectives by teaching us that both work and motherhood are valuable parts of living our purpose. We can find ways to protect time for both so we can be “powerfully present” in whatever we are doing. To celebrate the 1st birthday of the podcast, I asked listeners to share their *own* three takeaways on social media (#my3in30) and with their friends and family. I have been overwhelmed by the response and the creativity and wisdom of this community of mothers! Your takeaways have been incredible!! 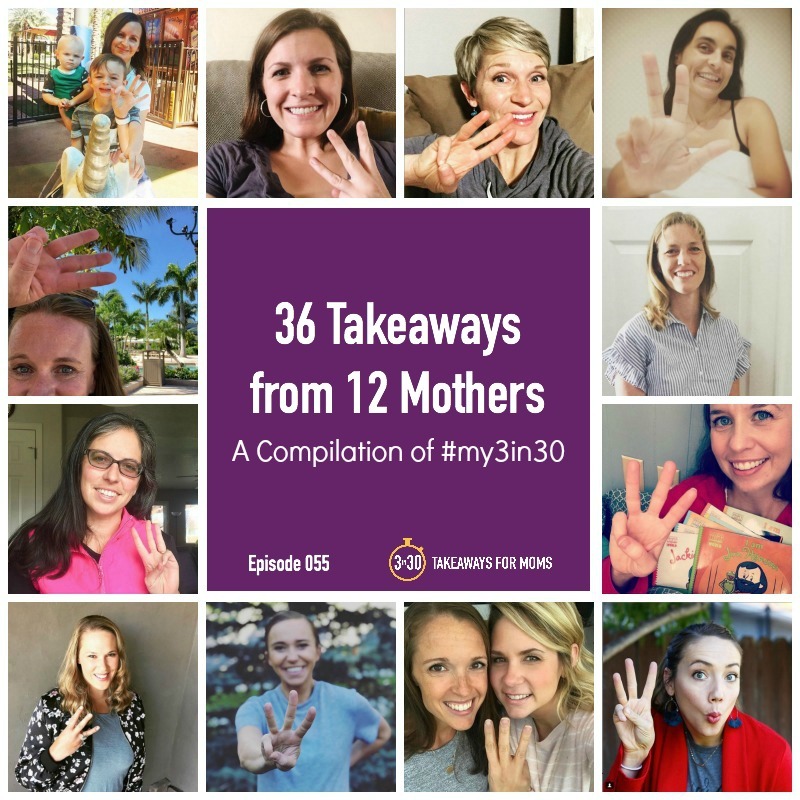 Today on the podcast, you will hear 12 mothers from our podcast community share their 3 takeaways…so that’s 36 takeaways in all! Get ready! Don’t forget, you can get a copy of all 36 takeaways PLUS the takeaways from this entire month of episodes by signing up at 3in30podcast.com/takeaways. And thanks to the women who contributed to this episode!